The Inspiring Women campaign teamed up with Women in Journalism and Inspiring Girls International for a one-off special event – Inspiring Women in Media. The event gave over 150 young women the chance to meet over 40 women working in media and journalism. To volunteer with the Inspiring Women campaign , sign up on our website. To see all the photos from the day check out our Flickr album. 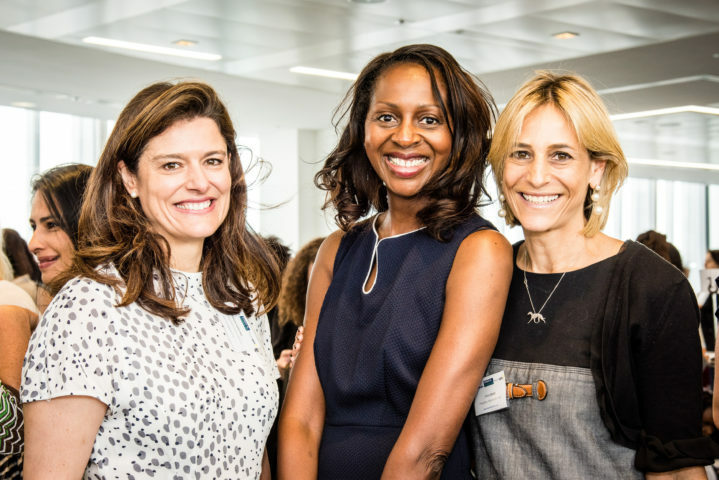 Hosting the event were Eleanor Mills (Chair of Women in Journalism and Editorial Director of the Sunday Times) and Miriam González (Founder of Inspiring Girls International and Partner, Dechert). Volunteers included Yasmin Alibahai-Brown (Commentator and broadcaster), Sam Taylor (Editor, The Lady), Georgia Edkins (Daily Mail trainee), Ann Mroz (Editor, TES), Emily Maitlis (Newsnight presenter, BBC) and Megan Wood (Corporate Affairs Communication, L’Oréal). 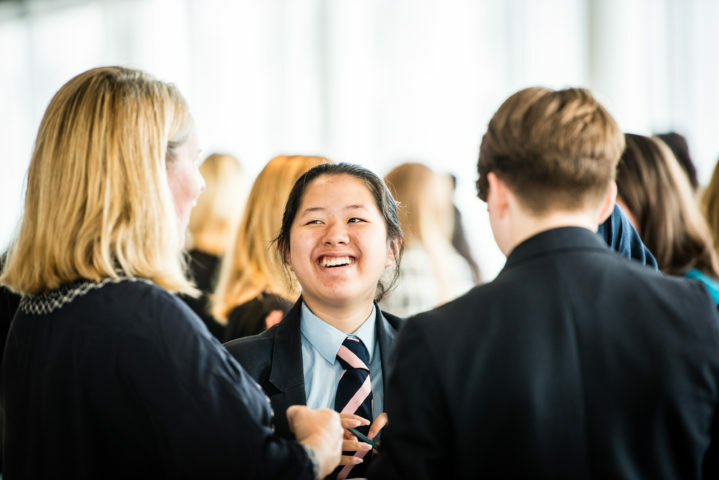 Volunteers came together to take part in Career Speed Networking, talking to groups of girls about their career path as well as answering any questions about their chosen route and offering valuable advice about pursuing your dreams. 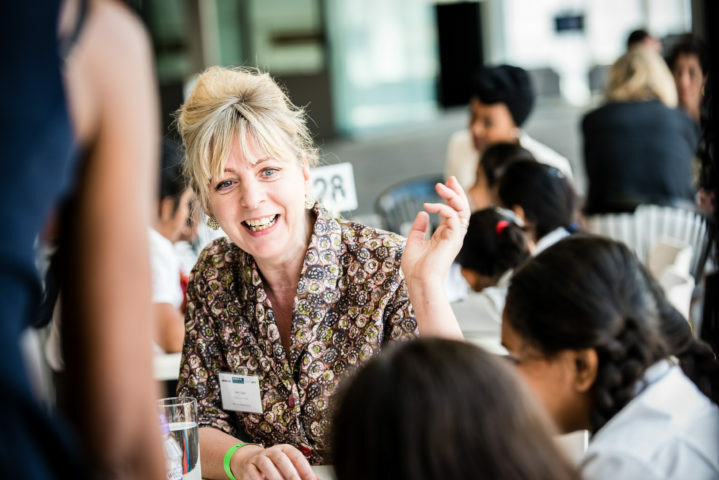 Talking to girls from both primary and secondary school, volunteers inspired young women across a wide range of learning stages, helping younger girls to make the important link between their learning and their futures, and encouraging older girls to think about their next steps. The primary children were particularly interested to find out more about the Lady magazine office dog, Miss Darcy Bustle, who even has their own column. ‘I really like that it was all women. I have been to other things like this before but it is all men so I am very happy to see the female point of view as well’. ‘I really enjoyed meeting all the brilliant women who until today, I did not know how much they impacted the world of journalism’. ‘I really enjoyed finding the answers to my questions and meeting people and knowing what their life is like’. ‘I enjoyed meeting people who started off like me and getting some advice’. ‘I really enjoyed the fact that we were able to talk to women in different stages or places in journalism’. ‘I enjoyed knowing that there are more options out there for women and that we can do anything if we set our minds to it’. 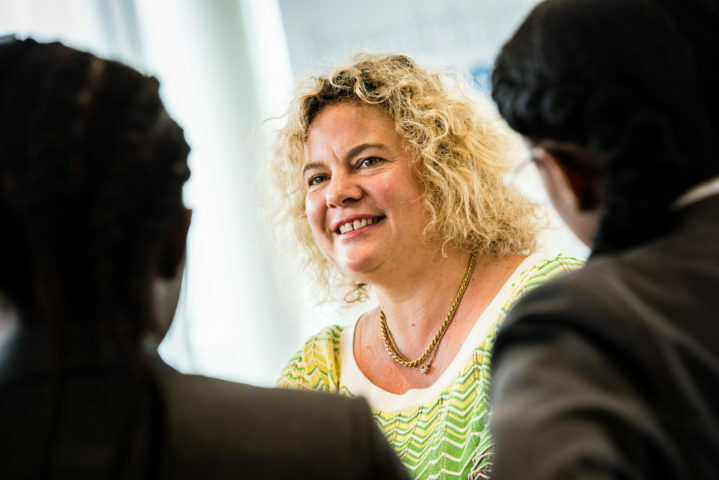 The team at Inspiring Women would like to extend their thanks also to Begona Lucena who since 2013 has played a key role in helping the Inspiring Women Campaign and more recently serving as Director of Inspiring Girls international, and is now relocating to Singapore to take up a new role. And thanks also to Hilly Janes, Kate Mcmillan and Georgia Edkins from Women in Journalism and to Tony Gallagher, Editor in Chief of the Sun for joining us and answering questions from girls about his job. 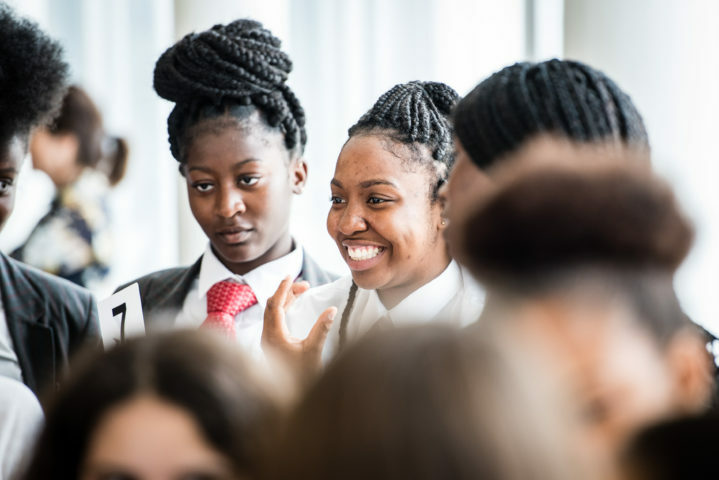 The aim is to help raise girls’ aspirations and broaden their horizons and it is made possible thanks to the lead corporate supporter Bank of America Merrill Lynch. Thanks to all the volunteers and students that made this wonderful event possible. To find out more about the Inspiring Women campaign see our website. 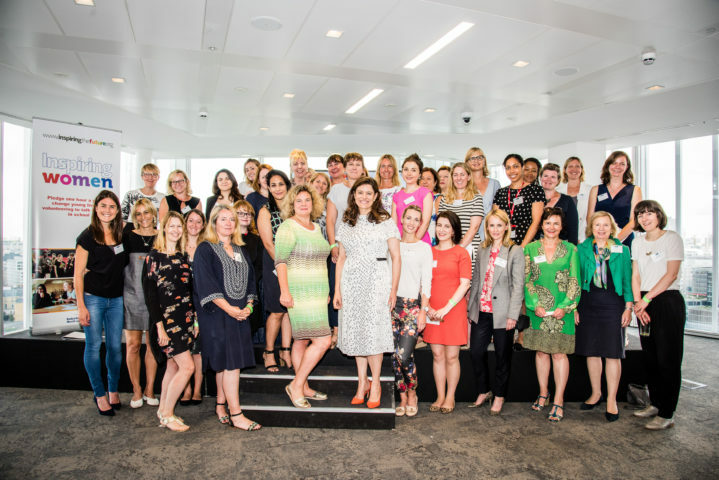 The Inspiring Women campaign, part of the charity’s Inspiring the Future programme, was launched by founding champion, Miriam González, in October 2013. 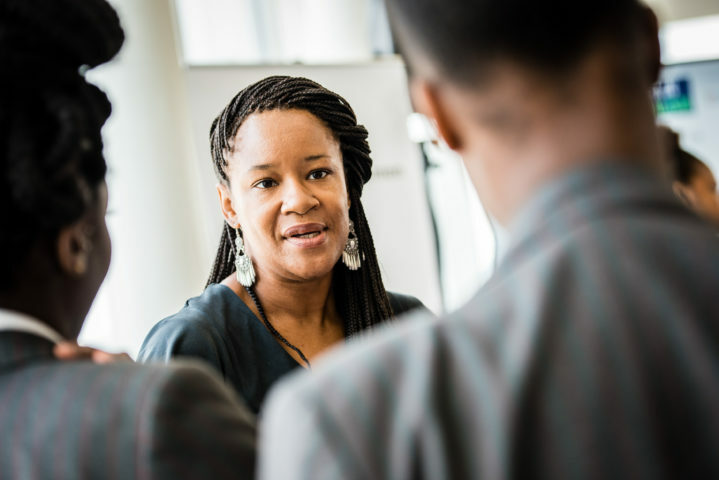 Over 25,000 amazing women in the UK have already volunteered to give an hour a year to go into a state primary or secondary school near where they live or work and chat to girls about their job and career route. They come from all levels – apprentices to CEOs, all sectors – archaeology to zoology and all parts of the UK. Volunteers and schools connect using the free national on-line matchmaking service Inspiring the Future. The aim is to help raise girls’ aspirations and broaden their horizons. The Charity is also doing a lot of work with primary schools to help raise awareness and tackle gender stereotyping amongst younger pupils, as highlighted in its awarding winning Redraw the Balance video which has been viewed over 33 million times. The success of the Inspiring Women campaign has led to a great deal of international interest and Education and Employers Charity have launched the programme in Australia and China. In addition, in response to the volume of demand Miriam has founded a new charity, Inspiring Girls International which is focused on raising aspirations of young girls around the world by connecting girls and female role models. Launched earlier this year, they are already working with different international partners in countries such as Spain, Serbia, Italy and Chile.